This past weekend, I decided it was time to bust out the waffle maker again. 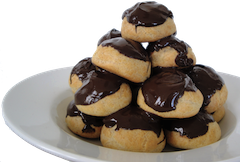 It’s such a wonderful appliance — I mean, I can’t think of another machine that turns out perfectly cooked and oh-so-delicious breakfast treats in 2.5 minutes. Can you? So Sunday morning, after a run and some ridiculously awful tennis with AW, we whipped up some banana waffles and bacon (bacon is AW’s domain, I prefer to leave the room when it’s cooking so I don’t spend the rest of the day smelling like cured meat). I had the idea to top the waffles with a couple of different flavor combos, that ended up both being really delicious. One topping combo was nutella sauce and bananas (nutella and bananas were absolutely made for each other), and the other was blackberry syrup and fresh strawberries. We’d bought some blackberries the day before that needed to be used, and it seemed like the perfect place for them. I heated up some maple syrup and mixed in a generous handful of mashed blackberries, and the sauce was so delicious! The waffles themselves were also quite good — we halved the recipe and it made 3 1/2 waffles, which was a bit more than we needed, though we did polish every one of them off. The waffles aren’t like what I would call a traditional Belgian waffle — they were much more dense and chewy, but they were so good. 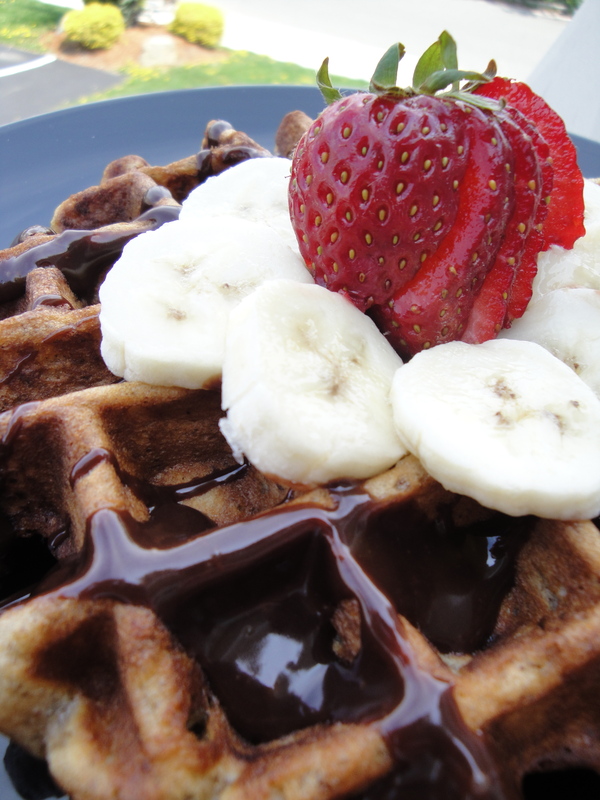 The only thing I think I would do differently is to use really ripe bananas — the bananas we used were just ripe, so their flavor wasn’t super strong, and the waffles didn’t taste particularly banana-y. However, we did have some pretty flavorful toppings, so I’d imagine it was easy for the banana flavor to be a little bit lost. 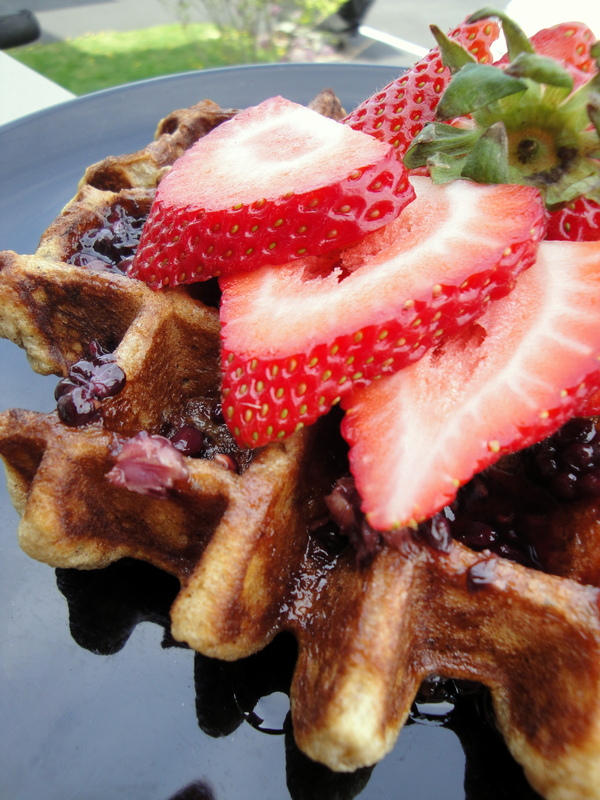 The original recipe comes from Willow Bird Baking, and has a recipe for Maple Nut Cream Cheese spread as well, which I think would be fantastic with these waffles. We didn’t have any cream cheese on hand, and I wanted to let my creativity play out (my creative bouts don’t come all that often, so I have to indulge in them when they do!). 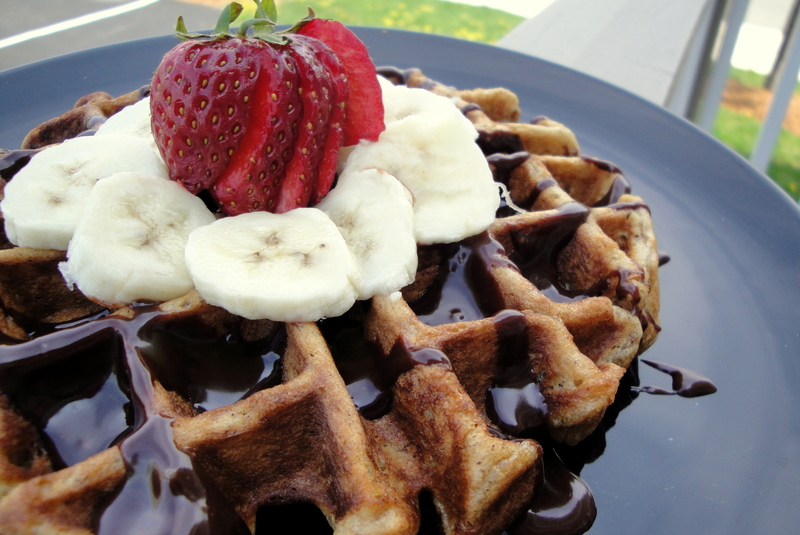 I will definitely try these waffles again — they are a perfect Sunday morning treat. Combine the flour, salt, sugar, baking soda, and cinnamon. Mix together the buttermilk (or buttermilk substitute) and the egg yolks. Stir in the butter, mashed banana, and vanilla. Spray the waffle iron lightly with oil and preheat it. Stir the wet into the dry ingredients. Beat the egg whites in a separate bowl with a whisk or electric mixer (make sure bowl and mixer are spotlessly clean) until they hold soft peaks. Stir them gently into the batter. Stir gently to combine. Spread a ladleful or so of batter onto the waffle iron and bake until the waffle is done, usually 3 to 5 minutes, depending on your iron. Mix ingredients for Maple Nut Cream Cheese Spread together. 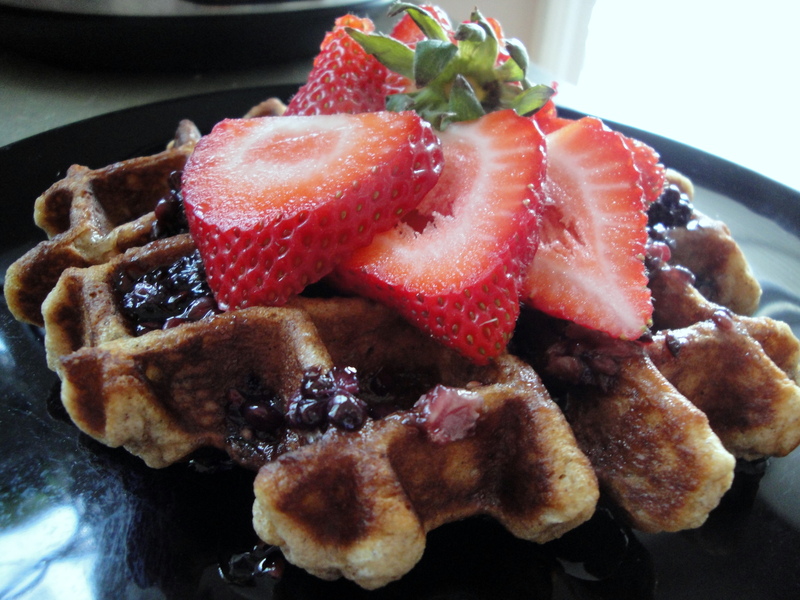 Serve waffles immediately with a schmear of Maple Nut Cream Cheese, or keep warm for a few minutes in a low oven.